For over twenty five years the L. Haberny Company has serviced the non ferrous processing industry worldwide. 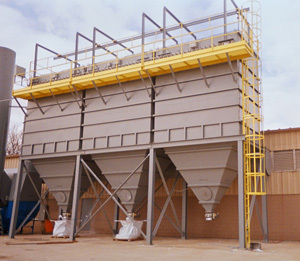 Our furnaces, casters and pollution control equipment have provided a rugged product to this customer base. We provide a complete package of high quality and cost effective refractory design and installation services. Our duct and fittings are used today in all sectors of manufacturing. From a small duct fitting to a turnkey recycling facility, the L. Haberny Company can meet all of your needs, designed and built to meet your company's requirements. L. Haberny Company can provide custom fabricated steel duct to your specifications. Call or fax us your drawings for a quote. For larger jobs we can quote on site.